Pause menu appears when you press the pause button mid game. Animations added include the guy, lava and demon hand. Also 3 of the 5 demons are animated as well; featured is the demon spirit. What’s next: I’m starting to think I set up the buttons wrong. They might be listening for mouse clicks instead of touches. I’ll have to test the game on an actual device. I also have to figure out how to detect when no buttons are pressed to return the guy do his default animation. The 2 issues might be related. 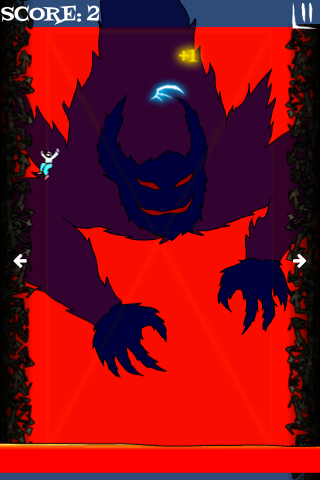 The other thing is to finish animating the other 2 demons.